Summer programs give young people tools to become agents of social change. It is these informed and active citizens which our community will rely upon to make wise decisions in the future. 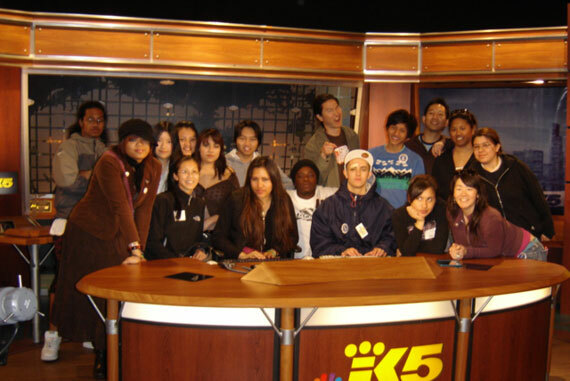 Over the years we have offered a wide array of summer programming; from Freedom Summer in 2002, an in-depth look at social justice issues in Seattle and the Juvenile Detention System – to 2007’s ALL ACCESS with Rock School, a two week program combining workshops, jam and recording sessions, and a critical examination of music history and community equity. All of our programming keeps in mind our mission and commitment to our community. This summer 2009 we are excited to unveil Art in Service! The program will run from July-August at Youngstown Cultural Arts Center with field trips throughout Seattle. Participants will meet twice a week at Youngstown to receive in depth arts instruction, discuss the value and relationships between art, social justice and service, and complete intensive community service projects. Art sessions will include metal works projects, t-shirt making at the Vera Project, mural painting in our community. Youth will have an opportunity to showcase at our “tSB Art Walk” on August 6th at Youngstown. Youth participants and Advisory Board members planning the project will be eligible to receive stipends for their work. While youth will not be compensated for service projects, they will receive up to 30 hours of service learning credit towards high school graduation. This summer project will extend our core program into the summer and provide a safe space and positive outlook for community involvement while youth are out of school. As youth build relationships and confidence, they develop many of the skills and sense of responsibility that result in greater academic and life success. Stipends provided by the Dept. of Neighborhoods will allow youth to earn modest income by supporting their community. Youth involved will build confidence and have an opportunity to act as leaders.